You’ll likely be happier with a pair of Apple AirPods. If you’re looking for an inexpensive set of true wireless headphones, the $150 Alpha Audiotronics Skybuds cost about ten bucks less than a set of Apple AirPods. But after spending a week with them, I’ll tell ya that you’re gonna want to fork over that extra Alexander Hamilton. While they do have some redeeming features, Skybuds offer an anemic level of audio quality and an often frustrating user experience. Inside of each earbud, you’ll find a 5.18mm Knowles Balanced Armature Driver that can handle frequencies between 20Hz ~ 20KHz. These drivers, along with the Skybuds’ batteries, BT radio, and other technical guts are encased in lightweight plastic. The earbuds weigh a scant five grams each. I found them light and comfortable to wear and you might too, provided your ears are shaped to accommodate them. Skybuds, like the JayBird Run and the BeoPlay E8, slip into the opening of your ear canals, rather than being held in place by a silicon fin or hooking into the ear like Apple’s AirPods do. The headphones ship with three different sizes of silicon tips to help ensure they'll stay in your ears and create a tight seal. Despite their light weight, I found that I was only able to wear them for an hour at a time before they became uncomfortable. They look nice, but they’re not very comfortable. A push button is baked into the end of each of the earbuds, allowing you to control the headset’s various functions. There’s no real learning curve to changing music tracks, taking calls or turning the headset on or off. Pairing with Bluetooth is a cinch too, as voice prompts are provided to walk you through the process. Pairing the headset to Skybuds’ free iOS app? Not so much. I spent 45 minutes attempting to pair the headphones up with to the app, to no avail. Resetting the headphones did nothing to correct the issue. It’s a shame: The app purportedly will provide your handset with notifications if you leave your headphones behind, help you to track their last known location, and enable a bit of audio transparency so that you can hear noise from your environment. It’s possible to use these headphones without app connectivity, but this means going without features that you’re paying for. Trying to find an online manual for the headphones proved just as frustrating: A link I found on the Skybuds support site turned up a 404 error for a long-gone Dropbox file. Not cool. 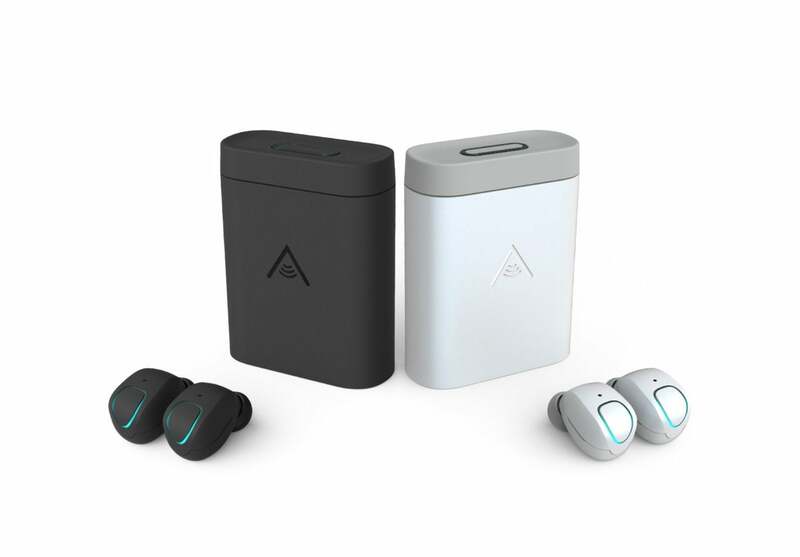 Alpha Audiotronics claims that the headphones provide four hours of battery life, with another 12 hours of juice residing in the Skybuds’ battery case. I found that my play time off a single charge was typically just under three hours, listening at 60% volume. $150 isn’t chump change. You should be able to expect some respectable sound at such a relatively high price. Unfortunately, I don’t feel that these headphones provide that. I found that a number of reviewers from other publications lauded the Skybuds for their audio. After using them for a week, I have a hard time recommending them—to anyone—when Apple’s AirPods sound infinitely better for around $10 more. Audio played through the Skybuds was lacking in bass and separation. This left mids and high frequency bits of music and spoken-word podcasts sounding muddy and strained. The same can be said for video: While I didn’t experience any video sync problems while watching a movie, the sound lacked ‘oomph,’ turning my viewing of Logan into something of a snooze fest. Additionally, I experienced frequent disconnects from my audio device, even at times when my iPhone 7 Plus was within three feet of me. But as I wasn’t thrilled with the audio quality to begin with, it was a burden I could live with. 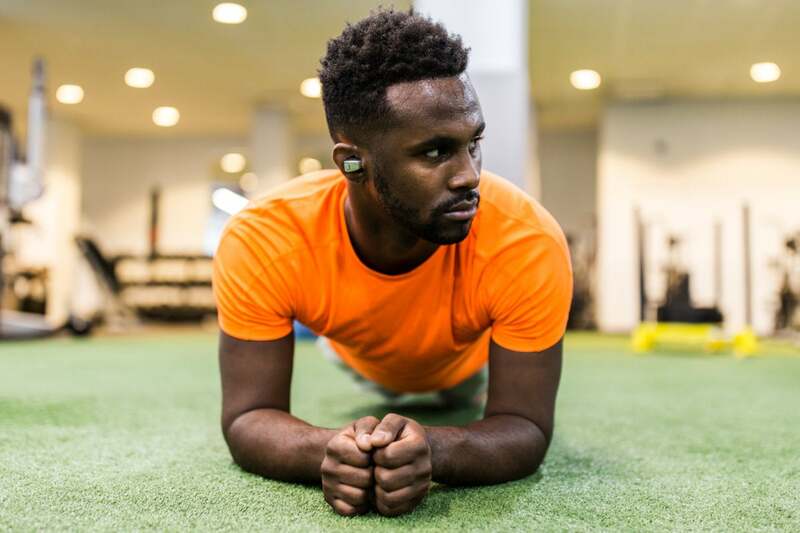 As a relatively new technology, true wireless headphones are still an expensive luxury, especially considering the fact that a traditional set of Bluetooth headphones can provide much the same service to your ears at a lower price. $150 should buy you a set of headphones that sound good, if not great. Alpha Audiotronics’ Skybuds don’t do that. We suggest you give them a hard pass.